Dr. Kumkum Bharti holds a Doctorate Degree in Marketing from Indian Institute of Technology Roorkee, Uttarakhand and post-graduation from National Institute of Technology, Surathkal, Karnataka (Silver Medalist). She has over three years of teaching experience in the marketing area. She has taught previously in National Institute of Technology Kurukshetra, Haryana and FORE School of Management, New Delhi. She has taught various courses such as marketing management, sales and distribution management, strategic management etc. to postgraduate students in her previous work assignments. Her research interest area includes the study of poor consumers, often called as Bottom (or Base) of the Pyramid (BOP), Service dominant (S-D) logic, co-creation, and qualitative research in marketing. 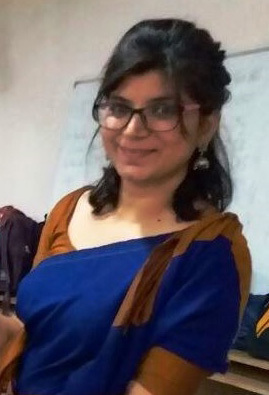 Her work has been published in various journals and conferences such as Marketing Intelligence and Planning, International Journal of Market Research, Procedia, International Journal of Business and Emerging Markets, etc.She has attended more than 20 international and national conferences in India and abroad in the last five years.Her Ph.D. thesis focused on understanding value co-creation for the Bottom of the Pyramid (BOP) consumers. She has won Noel Doerr Gold Medal for the best paper presented in the 71st Sugar Technology Association of India (STAI), Hyderabad in 2013. She has worked on a project 'Co-creation in Social Entrepreneurship' in partnership with Copenhagen Business School, Denmark and FGV, Sao Paulo, Brazil.